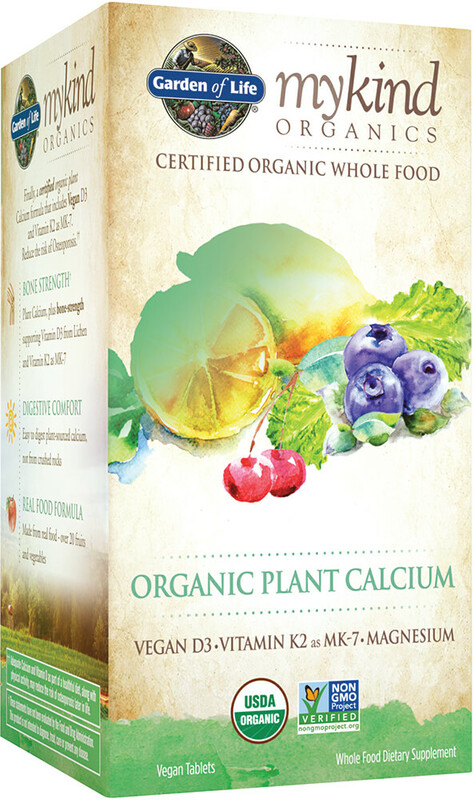 Finally, a certified organic plant Calcium formula that includes Vegan D3 and Vitamin K2 as MK-7. Plant Calcium, plus bone strength supporting Vitamin D3 from Lichen and Vitamin K2 as MK-7. Easy to digest plant sourced calcium, not from crushed rock. Made from real food - over 20 fruits and vegetables.